Pays : Czech Republic !!! 2005 !!! IDM - Drum'N'Bass - Noise - Experimental - Breakcore. 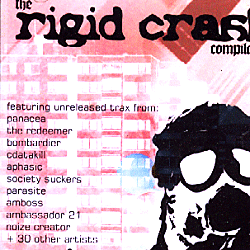 by Panacea - The Redeemer - Bombardier - Cdatakill - Aphasic - Society Suckers - Parasite - Amboss - Ambassador 21 - Noize Creator + 30 Other Artists !! !